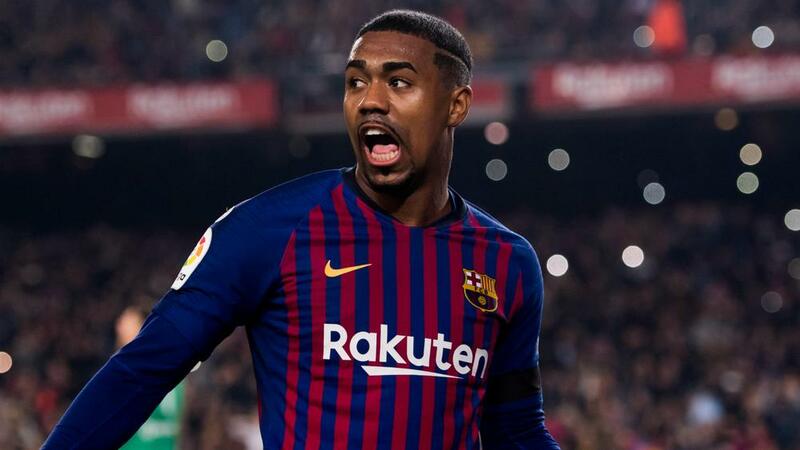 Everton have had success in signing players from Barcelona, but Marco Silva will not be trying to persuade Malcom to join them. The Premier League side brought in Andre Gomes on loan and Lucas Digne in a £19.5million deal from the Catalans in the previous transfer window, with both players proving sound additions to Silva's side. However, Silva insists there is no substance to the talk around the 21-year-old, telling a news conference: "No, no. Nothing." "We cannot change every week our idea and philosophy as a club if you win two games or you don't win two games," he said. "The last result was not good enough for us, but it was a moment and we are capable of changing things for us again and showing our quality. "Not because of that will we change everything in our ideas. Not because of that will I come here and say, 'we need this, and this, and this, and this'. We know what we can do or not. Let's see what is possible." "I understand the moment. Now is the moment these rumours come to the table. But [there is] nothing new," he said. "We don't put more to be loaned or whatever. I want them focused on our squad and to be ready to play. "Until now, the decisions I already take, you know what they are. Even, like you know, the last moments were really busy for us. The time we had between [games] was to prepare for the next."